Create your business exactly the way you want it using affordable business card templates from Sleeklens. Your business card is your face and will create an impression even in places you might not be able to reach in the coming years. You can use your unique cards to open new doors of opportunity and expand your business in an unprecedented way. Each of these templates is designed for easier customization and you can edit the text, add your desired images and come up with highly unique results. Just let your business cards do the talking for you and display your level of creativity and professionalism with the help of these templates. 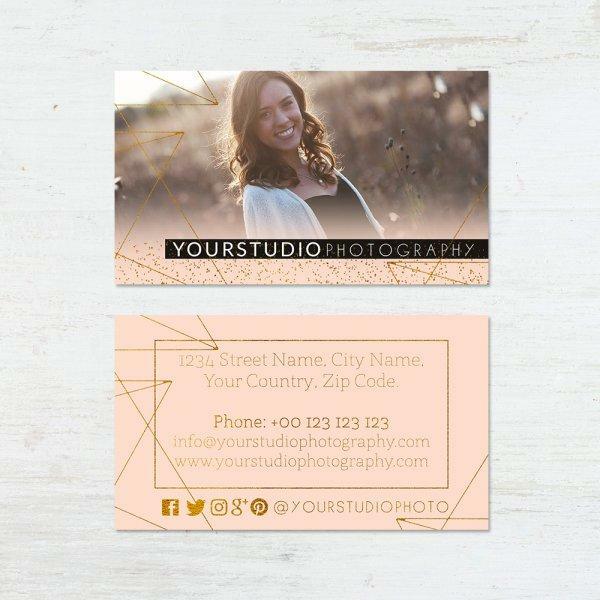 Just light up your business with this gorgeous business card template and let everyone develop great interest when they come across your cards. This template works with Photoshop and can be installed either in Mac or Windows computer. To make any changes to the template, you will need to have Photoshop CS+, CC or Photoshop Elements 6+ installed on your machine. It is completely customizable and you can change the text to insert your own contact information, business name and other essential details. Additionally, the template allows you to add your studio logo or images you think could be ideal in helping you to advertise your business. The template has a measurement of 9 by 5 centimeters, an ideal size for professional business cards. When you need to save money and get the best inspiration to design that easy-to-share business card, this template comes in handy. It will take away the hassle of designing a unique card and also help you come up with not-too-common cards which will stand out and make you feel proud whenever distributing them to new potential clients. The cards have a unique design and size which makes it easy to carry a few with you around as you attend those photo sessions or parties where you are invited. Since there is no need for you to hire a graphic designer, the template will help you cut down your advertisement budget by more than 60 percent while at the same time growing your ROI by a great margin. 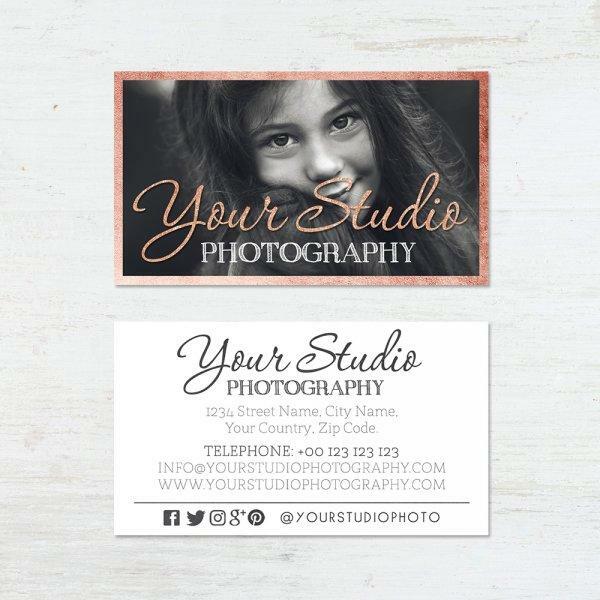 The 9 by 5 centimeter business card template has fully customizable text and you can also add your cute images or studio logo for that appealing look. Enjoy the elegance of a trendy business card with this unique template from Sleeklens and put some wind on your business sails ready for the next level. 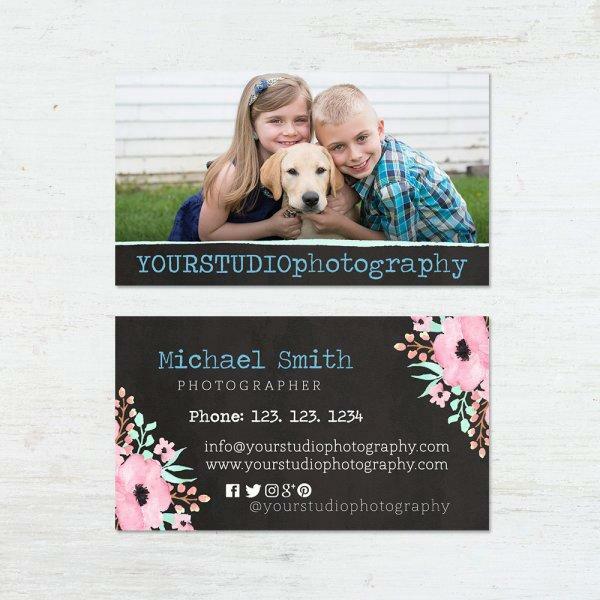 This customizable template makes it easy for you to market yourself as a professional photographer and create an irresistible impression in the eyes of your potential clients. The handcrafted template is for Adobe Photoshop and works with both Mac and Windows. You will however need to have any of the compatible Photoshop versions installed in your computer for you to be able to edit the template. 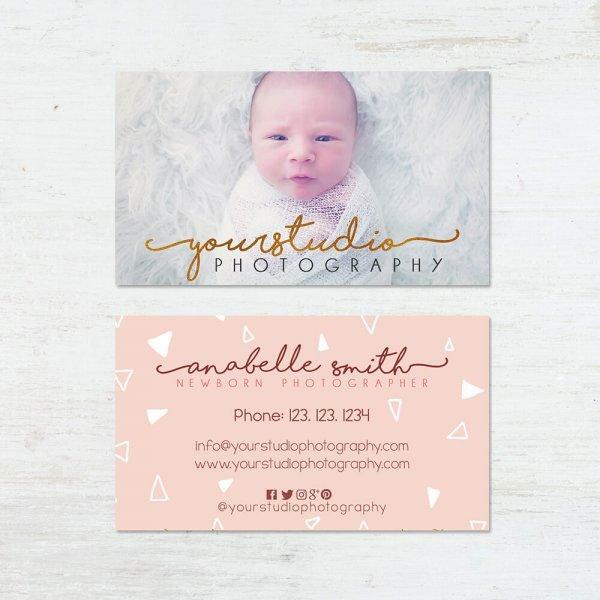 The business card template is well-suited for Photoshop CC, CS+ or Photoshop Elements 6+. It has 2 file options; front and back which means you can design two-sided cards which are distinctive always. Designing your cards only takes a matter of minutes and you can print them in any of the big pro printing labs including Miller’s, MpixPRO and WHCC among others. Creativity is the game of marketing and this template gives you the exact tools you need to build your business name and spread a word to people of different ages and backgrounds. With the sizzling temperatures of competition, the Spring Air template will help you enjoy great returns and escape the unproductiveness that many photographers face. Just use this business card template to design exceptional cards which will act as your ambassadors wherever they go. Even without your presence, the cards will echo your message and showcase your creativity and professionalism as a photographer. The template has a dimension of 9 by 5 centimeters and includes 2 files in total (front and back options). It comes in Layered Photoshop (PSD) files of 300 dpi and this guarantees you clean and high definition results without spending too much money in the process. With the completely editable text and a list of downloadable fonts available, you have no limits as to what you can do with this template as you seek to put a word forth about your business. As you order for this template, just have your contact details and your logo ready so you can add them within a matter of minutes. Using the clipping masks, it will be a breeze to add your logo or image with a simple drag and drop method. Each of these business card templates can be used by either armatures or pros to design their colorful cards anywhere, anytime. You do not need internet connection in order to customize your business cards and there is no renewal fee payable to the designer.